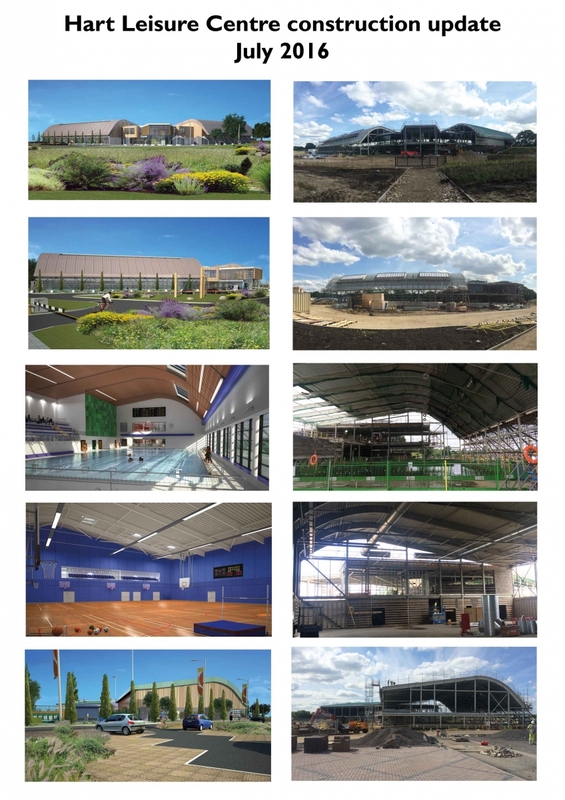 In September 2015 Willmott Dixon Construction began work on the new leisure centre, a building designed to replace the old Hart Leisure Centre on Hitches Lane in Fleet. The access to the new centre can be found off Emerald Avenue, which also leads to brand new housing and the new car park for the Edenbrook Country Park. The centre was designed to reflect the country park landscape with the use of suitable colours and materials as well as contours. The building of the new Hart Leisure Centre was completed in May 2017 and it was opened to the public on 1 April 2017. What facilities does the new leisure centre have? When was the centre built and who is it run by? The new leisure centre opened on 1 April 2017 and Hart District Council appointed Everyone Active, a management company, to manage the whole site on its behalf. Everyone Active took over the management of Frogmore leisure centre and the previous Hart leisure centre in February and have already invested over £300,000 at Frogmore Leisure Centre. They have also invested into the new Hart Leisure Centre as a supplement to the £23 million invested by Hart District Council. Hart District Council has also invested in its sister centre at Frogmore. A £1.5m redevelopment fund was increased to £1.8m by Everyone Active and the new facilities are now available including a new gym, hot yoga studio, purpose built crèche, virtual cycling studio and a brand new sauna and steam suite.